I am working with a client that owns multiple building in Cambridge MA. We have set up a multi phase restoration plan for her windows. I have completed the minor restoration on two units. The first only required an extensive onsite cleaning, putty, and re-glazing. The difference is striking. The second set are double hung stained glass panels in a stairwell. Luckily, they are higher up the wall then normal and have escaped extensive damage. There was some slight deflection on the lower border that needed to be addressed. 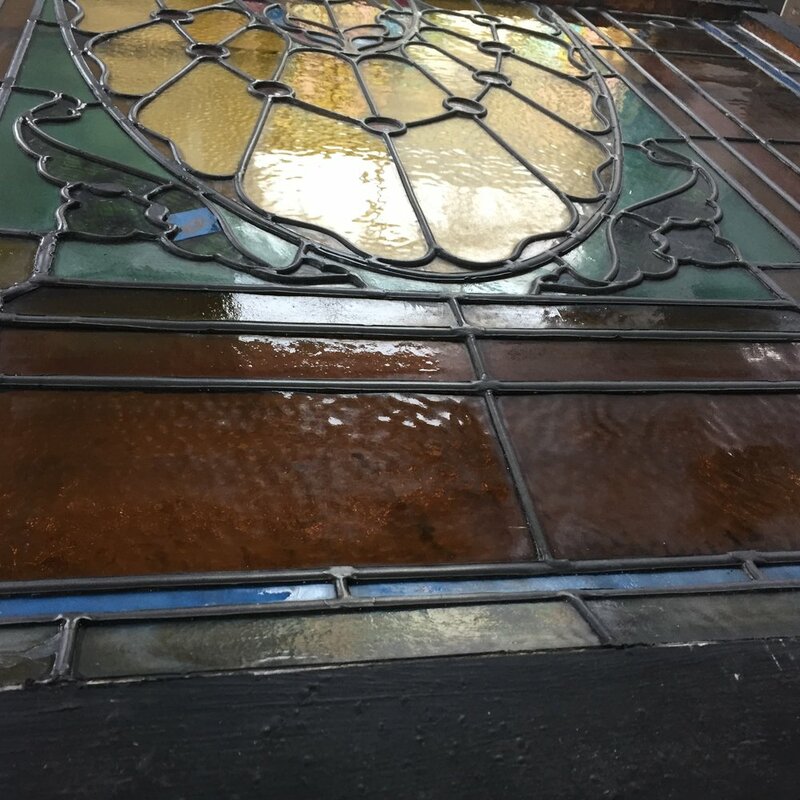 The panels were cleaned, puttied and glazed. 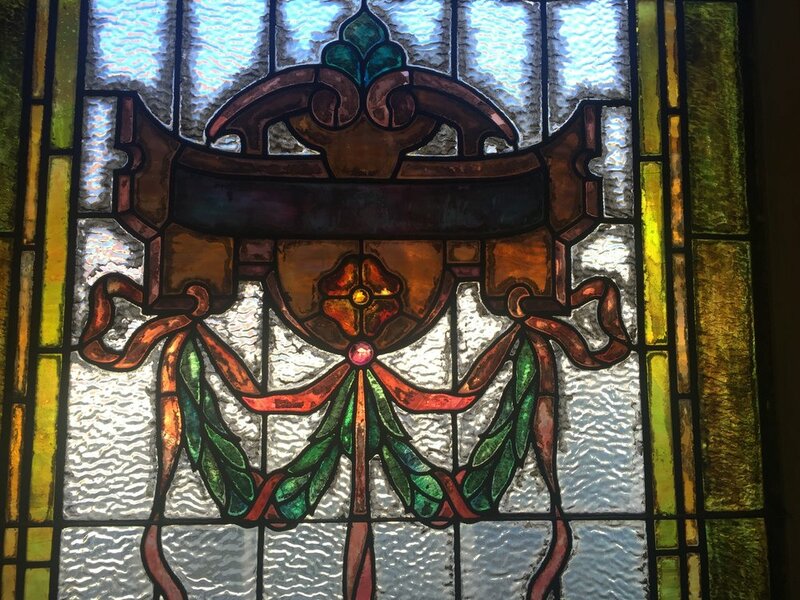 Another future project will be fabricating new stained glass panels to replace the originals that were lost. We were able to find archival photos of the home at the Cambridge Historical Society that showed the original Oriel windows. We designed new windows that are an excellent match to the originals.